Posted February 10, 2011 by Emmet Farrell in Features. This course is a unit from the RHS Level 2 Certificate in the Principles of Horticulture course and on completion participants can get an RHS Certificate if they wish to complete an exam, otherwise it is all about enjoying and learning how to grow fruit and vegetables organically. The course will be held over 6 Sunday’s through March, April and May. 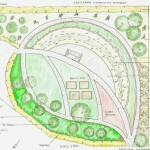 A six part course covering basic garden techniques including planning a vegetable garden, soil management and choosing hardy plants for gardens in Ireland. These night classes will be held on Tuesday’s commencing in March and finishing in May. On Saturday 12th March Ciaran will host a fruit course dealing with planning the fruit garden, choosing trees, suitable rootstocks, training, pollinators and more. All the courses will feature lectures, demonstrations and practical classes, taking place at our venue in Claregalway. Further details and booking forms are avaiable from the website: www.ciaranburke.ie or call Ciaran at 094 9649943.